In love and infinite wisdom God has released from suffering, and calling into that new and longer life, the gentle spirit of our dearly beloved Mr. Douglas Kenneth Glover who passed into the arms of Jesus at the age of 68 on Friday, April 5, 2019 at the Birmingham V A Medical Center, Birmingham, Al. Mr. Douglas Kenneth Glover was born to the union of the late Mr. Isaac Glover and Mrs. Glovina Glover Babbs on June 9, 1950 in Edna, Alabama where he resided until the age of thirteen before moving to live with his grandmother the late Mrs. Sally Ofelia Eubanks in York, Alabama.There he attended school at York West End High School and graduated in 1970. He went on to join the United States Army and met Elizabeth Carmichael while stationed at Fort McClellan, Al. He retired with 21 years of service to his country (1970-1991) with the Rank of Senior NCO (SFC-E7). He was a faithful member of the Faith Missionary Baptist Church, Birmingham, Alabama where he served as Trustee for many years. He was employed with AAA Cooper Transportation Company for approximately 10 years before becoming self-employed in the trucking business until his health began to fail. Mr. Glover was preceded in death by his Father, Isaac Glover; Grandmother, Sally Ofelia Eubanks; Brother, James Oliver Glover; wife, Elizabeth Carmichael Glover. 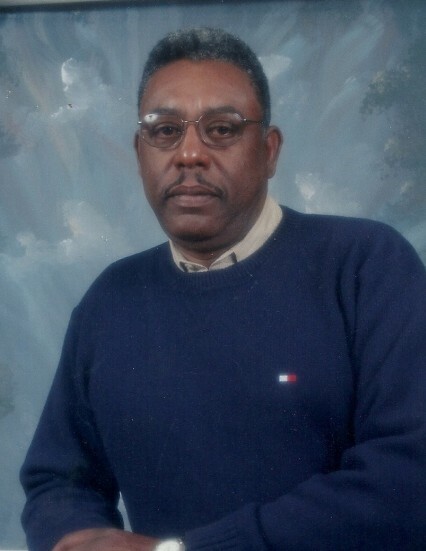 Mr. Glover is survived by a loving family, extended church family and a wealth of lifelong friends. He leaves to cherish his memories: Two daughters, Rachel Glover-Knighton (Arthur), Daphne Glover; One son, Douglas Glover, all of Birmingham, Al; His loving mother, Glovina Glover Babbs of Talladega, Al; Four brothers, Ronnie Eubanks (Johnnie) of Daleville, Al, Jack Babbs (Brenda) of Oxford, Al, Gene Babbs of Talladega Al, and John Babbs of Carrollton, GA; Three sisters, Joyce Robbins (Leroy) of Goodwater, Al, Deborah Dye (George), and Helen Lawler, both of Talladega, Al; Special niece, Puracenta "CeCe" Barclay (Tim) of Talladega, Al; Special aunt, Mae Ella Ward of York, Al; Four grandchildren, Brandon Knighton (Bryana), Trent Knighton, Brooke Knighton, Sydney Jackson; Three great-grandchildren, Julian Knighton, Jace Knighton and Jemma Knighton; and a host of nieces and nephews, cousins and other relatives and friends. Services will be held Friday, April 12, 2019 at 11:30 am at Jefferson Memorial Funeral Home. Visitation will be held thirty minutes prior to services. Rev. P. A. Erby, Pastor of Faith Missionary Baptist Church Birmingham, will be officiating. Jefferson Memorial Trussville directing.